Available on the Brenham, Bryan, and Schulenburg campuses, Blinn’s Professional Truck Driving Program teaches students to conduct pre-trip, on-the-road, and post-trip vehicle and equipment inspections. Other skills include map reading, managing log books and cargo documentation, dispatch procedures, emergency responsibilities, and regulations of transportation agencies. Students also learn road safety guidelines and specific laws applicable to professional drivers. 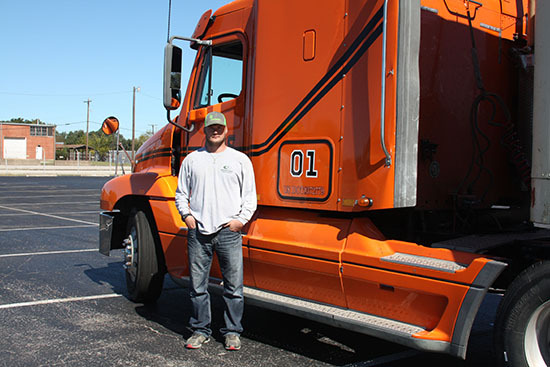 At the conclusion of the program, instructors accompany students to the commercial driver’s license (CDL) testing facility in Hearne, where they may be eligible to leave with their CDL and a certificate of completion from Blinn. Entry-level truck drivers can expect a starting wage of approximately $20 per hour, or an annual salary ranging between $40,000 and $60,000. The program cost is $4,200.